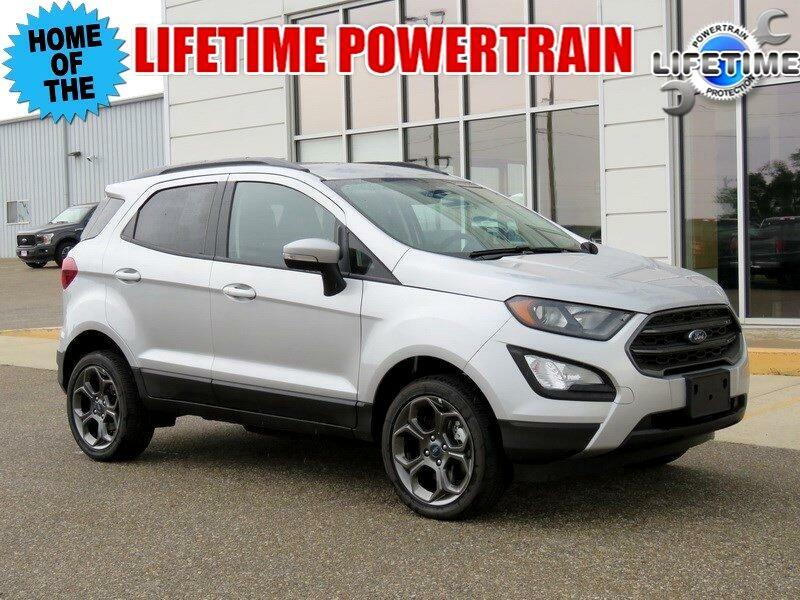 * *EXCLUSIVE LIFETIME POWERTRAIN* * *ECOSPORT TITANIUM ALL WHEEL DRIVE* * *POWER SUNROOF* * *2.0 LITER 4 CYLINDER ENGINE* * *POWER HEATED LEATHER BUCKET SEATS* * *ALUMINUM ALLOY WHEELS* * *POWER WINDOWS DOOR LOCKS AND MIRRORS* * *RAIN SENSING WIPERS* * *AUTOMATIC HEADLAMPS* * *SATELLITE READY RADIO* * *MP3 CAPABILITY* * *BLUETOOTH CONNECTIVITY* * *KEYLESS START*This vehicle may qualify for additional rebates. Prices are subject to change without notice. Call or email for information on additional rebates. All prices plus tax, title, and license with approved credit. Exclusive Lifetime Powertrain Coverage is provided at no cost to you! Call our internet team today @ 866-474-0002 to schedule a hassle free test drive! We are located 10 minutes NW of Des Moines at 1708 Sycamore St, Granger, IA, 50109.